I could’ve named this post, “How to show paleo hater’s that real food can be amazing”… or “more delicious than Sawyer on Lost” or simply “drooooooolll”. This one is a winner! And it’s SO EASY! I dedicate this post to my fellow Spring Leaner’s – try this one out for yourself…just give credit to me when your significant other proposes immediately. 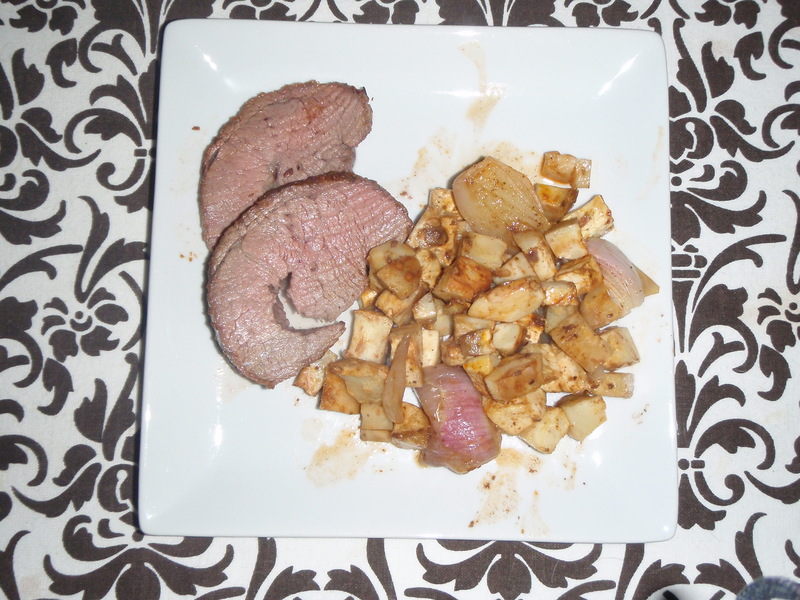 Another bonus: this roast was only $12. It’s naturally raised, local venison from The Healthy Butcher. And the piece I bought could feed 4 people – we just happened to devour it between the 2 of us and settled into a nice meat-coma afterwards. 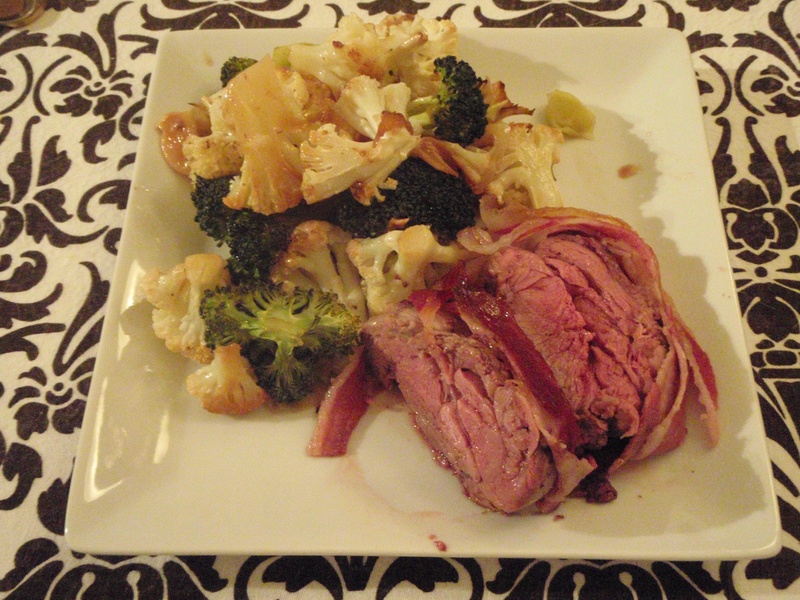 In a roasting pan lined with foil place the venison roast. Sprinkle all sides with fresh ground pepper. 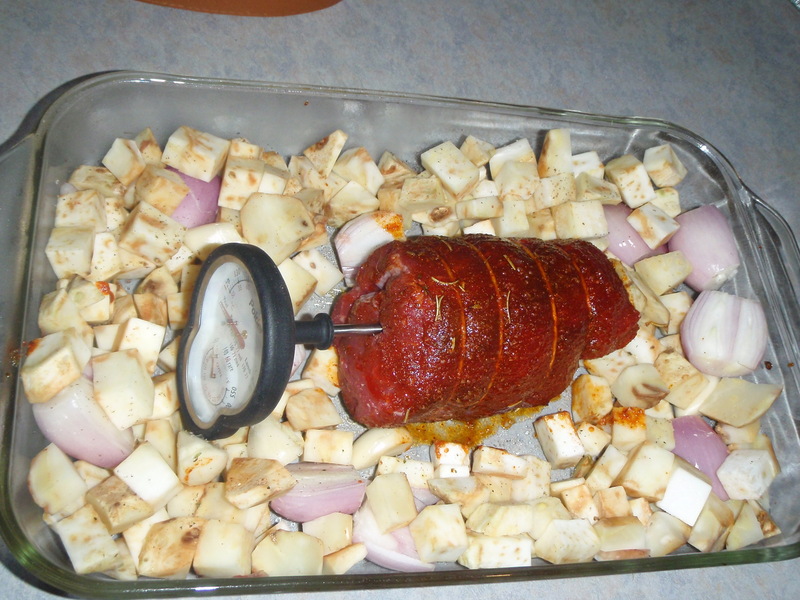 Roast in the oven until the venison reaches an internal temp of 135 (ours took about 45 min). Remove immediately and tent with some foil. Let it ‘tent’ for 10 minutes. This will get it to a nice medium rare.